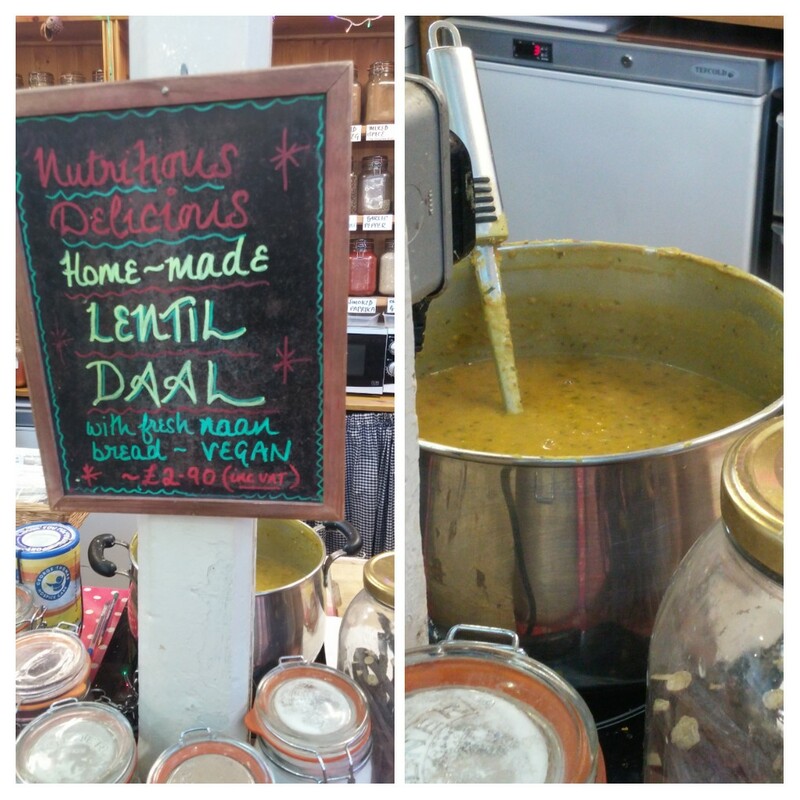 In the market for a meat free lunch? 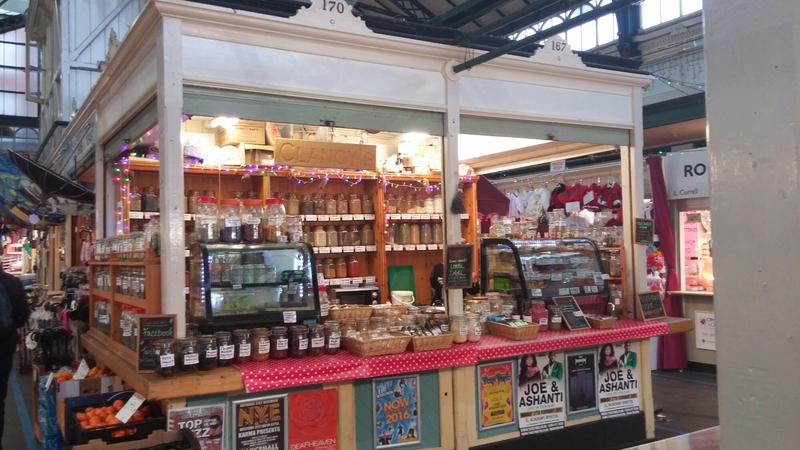 Clancy’s Vegetarian Emporium and Milgi Market in Cardiff Market. We all make (and have probably already broken) New Year’s Resolutions at this time of year. I am too long in the tooth and too tight-fisted to waste my energy and money on gym membership (walking my dogs is enough exercise for me) and as for Dryanuary – just no, no, no. 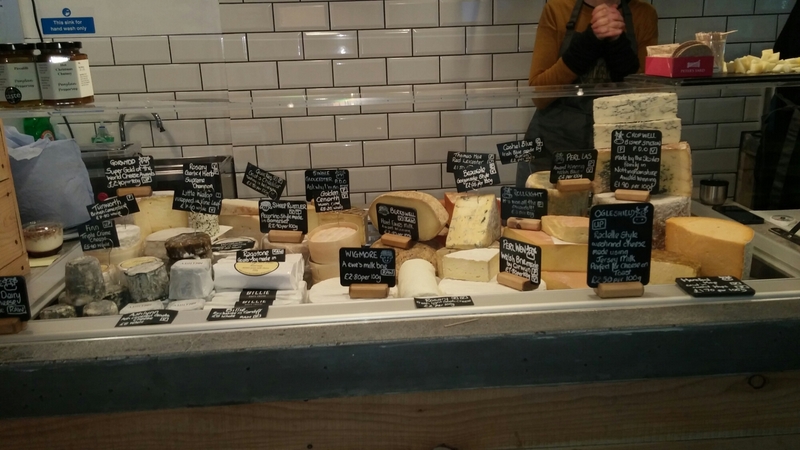 and not forgetting, with the fantastic new Cheese Pantry, cheese. As my visits tend to coincide with lunchtime, my thoughts are often focussed on stuffing my face. After the meatfest that was Christmas, the places in the market that are outside of my usual carnivore comfort zone peaked my interest. 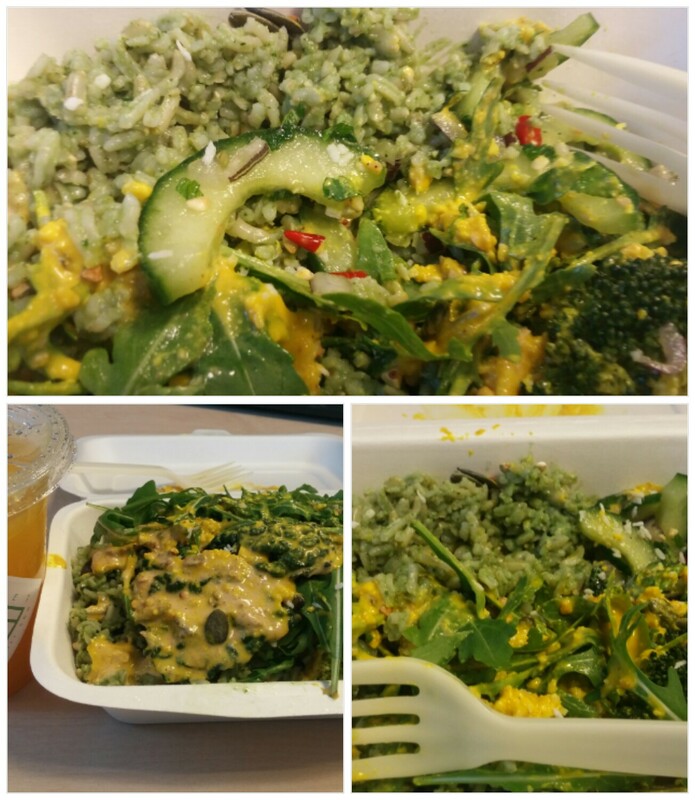 I am not really someone who could live off veggie food exclusively (tried it in my youth and narrowly avoid malnutrition due to a general reluctance on my part, at the time, to eat vegetables), but I am not adverse to eating a veggie meal once in a while. 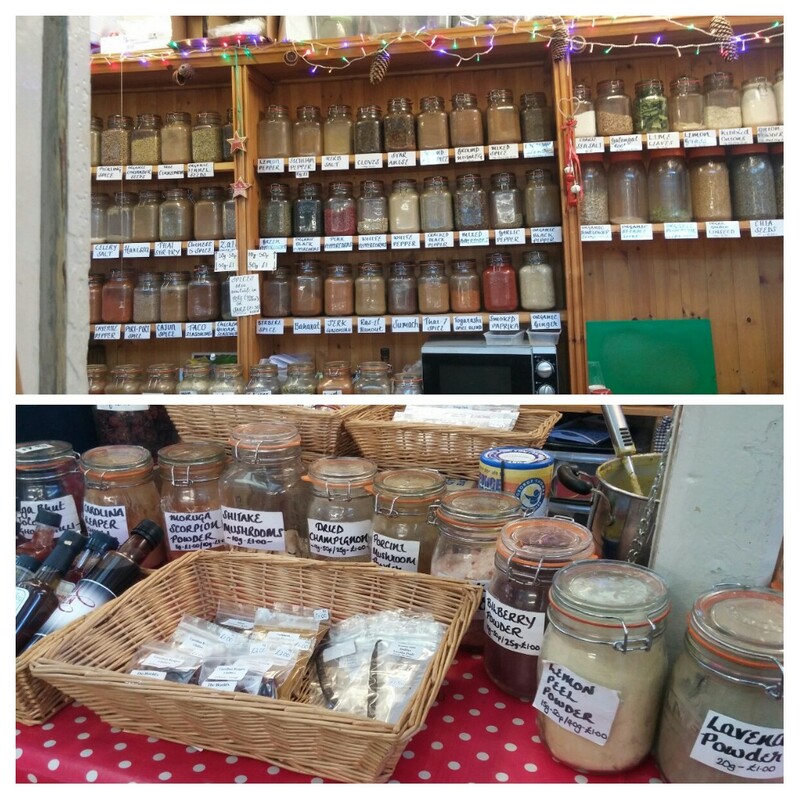 A veritable Aladdin’s cave of spices, this place is a cracking spot to pick up the usual or the unusual spice wise at very reasonable prices. 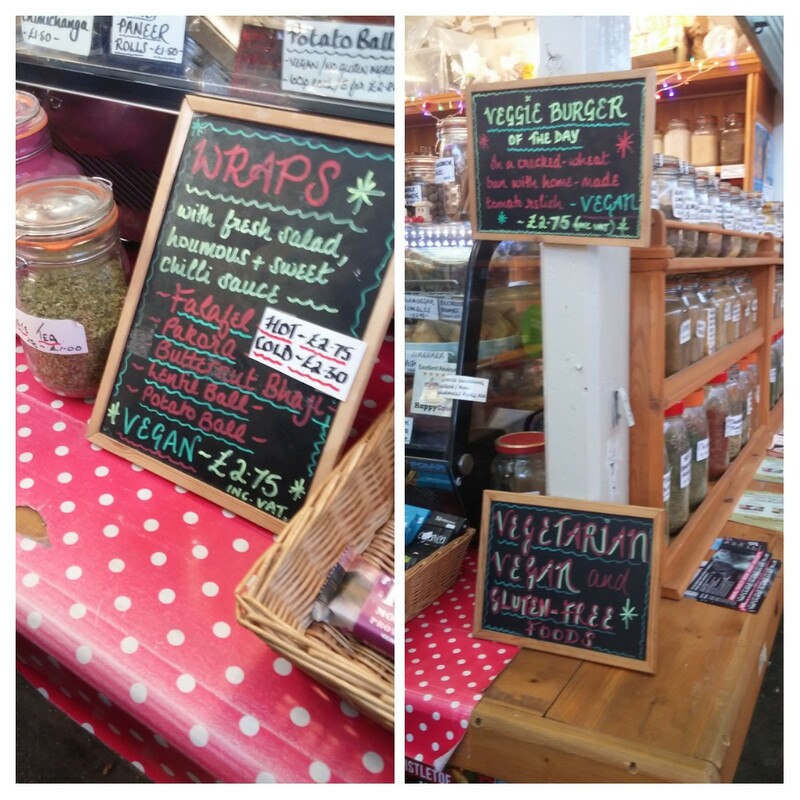 On the hot food front they have some lovely sounding wraps (£2.75) and the veggie burger (also £2.75) doled out to a person ahead of me in the queue during my visit looked very appetising. The decent sized portion of steaming hot (importantly it retained its heat on the 5-10 min walk back to my office ) daal I got had a lovely spiced flavour to it, with the lentils cook so there was still an element of texture (rather than a mush). The addition (optional – at no extra charge) of fresh coriander and toasted mustard and (I think) fennel seeds, brought a nice freshness (due to the coriander) to the equation, whilst the seeds added texture, flavour and a touch of heat. 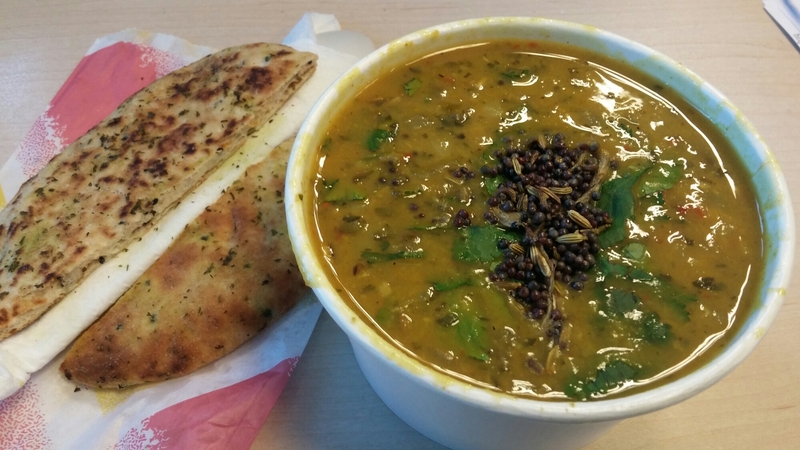 The naan that come with it was fairly regulation, but nice enough for dunking in the daal. All in all a really nice, well flavour and nicely spiced dish. An excellent tasting, great value, option for lunch and a real winter warmer. 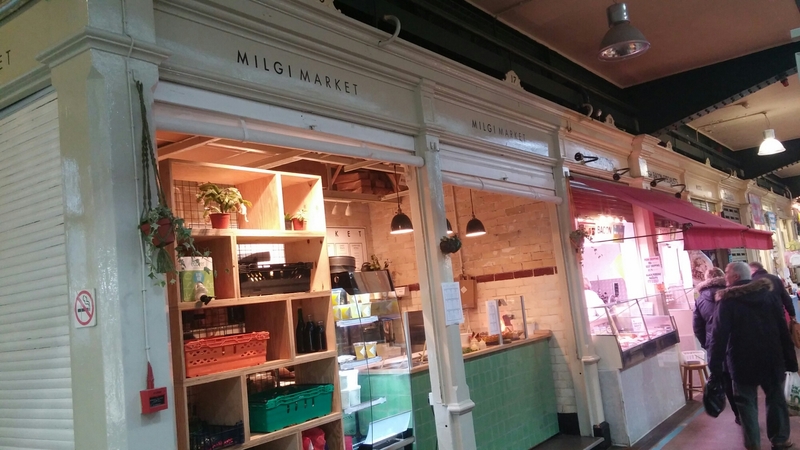 Milgi market is an offshoot (rather apt that, with their strapline being “plant based fast food”) of their highly rated place on City Road (somewhere I have shamefully yet to get round to visiting) offering various vegan dishes to take away, fast food style. 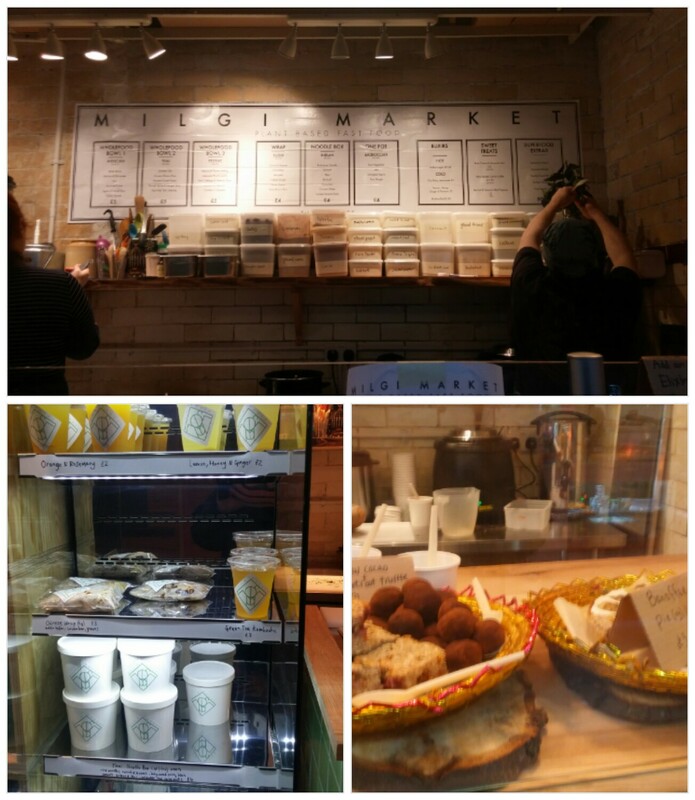 It offers a mix of bowls, pots and wraps, supplemented by sweet treats and elixirs (drinks to you and me). 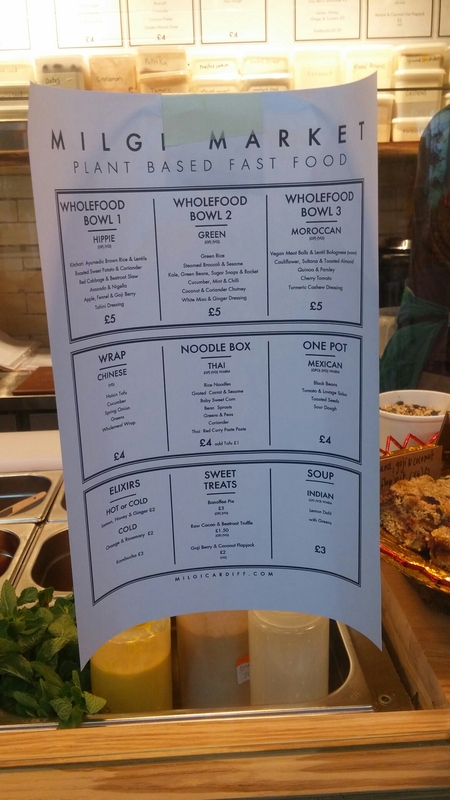 On my first visit (pre Christmas), I went for the Thai wholefood bowl (£5) from the Festive menu. Whilst certainly not a looker, this was a revelation to an avowed carnivore like me. Tofu, to me at least, can be bland and textually a bit of a challenge, but here in its smoked form it was lovely – great flavour and not at all slimy. 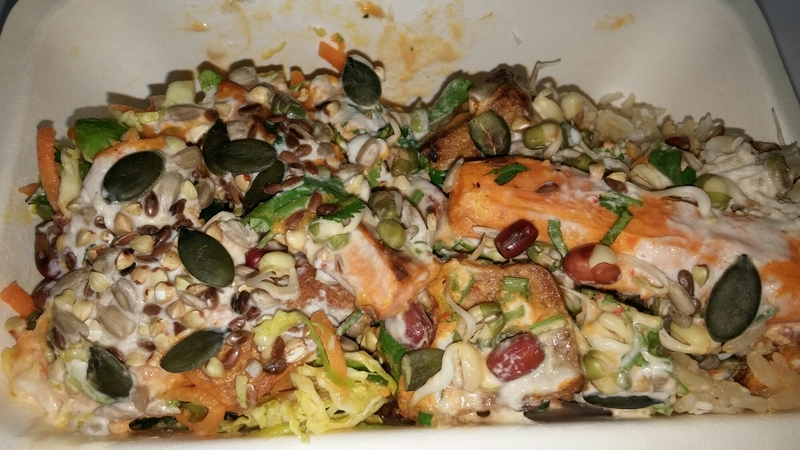 The sweet potatoes added a nice sweetness and the pad thai dressing was really top draw. Add to this some lovely coconut rice and a nice crunch from the inclusion in the mix of multiple seeds and nuts and I had an ace veggie meal. 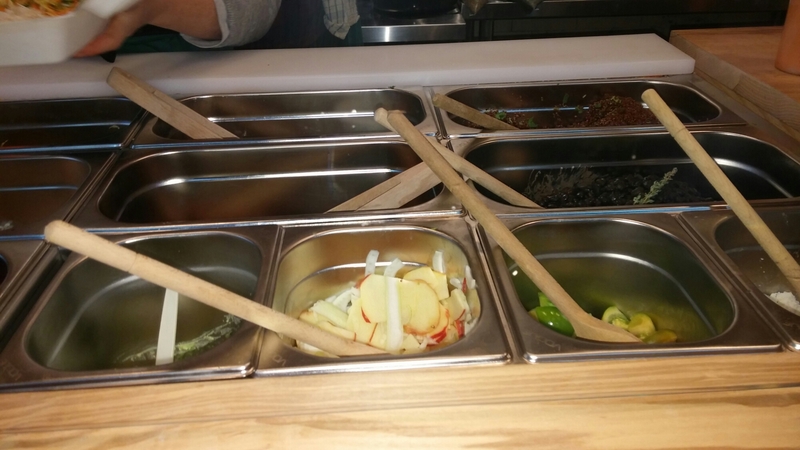 I went for the “Green” Wholefood Bowl. Again a lovely mix of flavours and textures. The pickled cucumbers with mint and red chillies (seeds in) added a really nice zinginess to the proceedings. The white miso and ginger dressing brought all of the constituent parts together nicely. They had an offer on elixirs of £1 with a wholebowl. 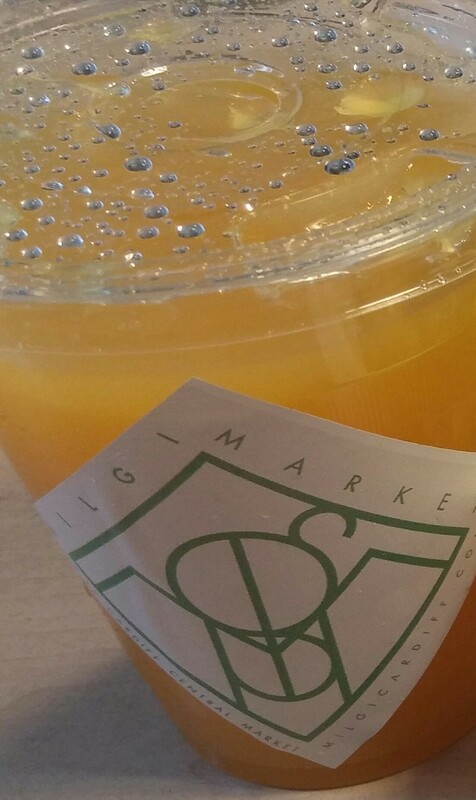 Never one to miss out on an offer, I went for the orange and rosemary number. Nice and refreshing, it was perhaps a tad heavy on the rosemary front for my tastes. When tucking into both of these vegan meals from Milgi Market, I completely forgot that there was no meat content and frankly didn’t miss it at all. For a dedicated meat-eater like me, that is some feat! 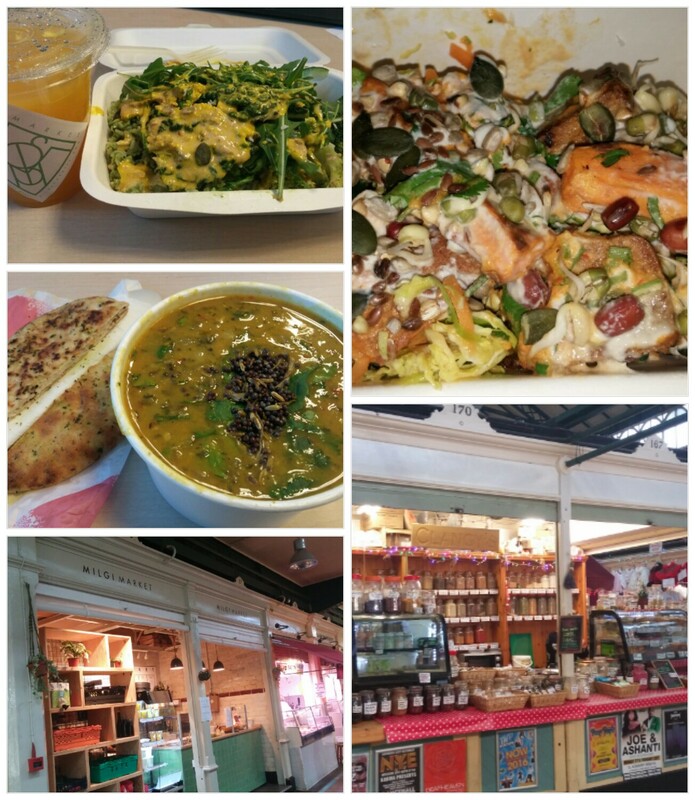 Two cracking places to obtain a meat free meal. 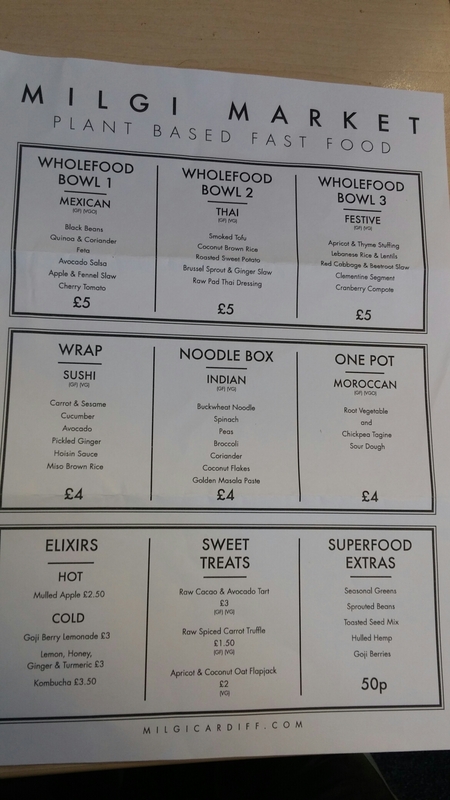 My advice is forget the insipid sarnies from the supermarkets and give these two places a go (if you already haven’t) for lunch. 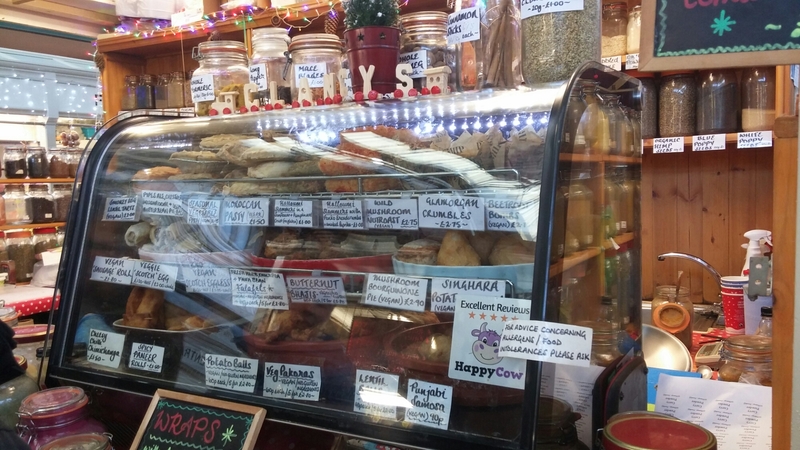 You don’t have to be a fundalentilist to eat vegan food and both of these places offer very good reasons for less rather than “carnimore” on the meat front. Would I go back? A definite yes, for both of these rather lovely places. Thanks for going to all the trouble of reviewing us and a even bigger thank you for being so complimentary! 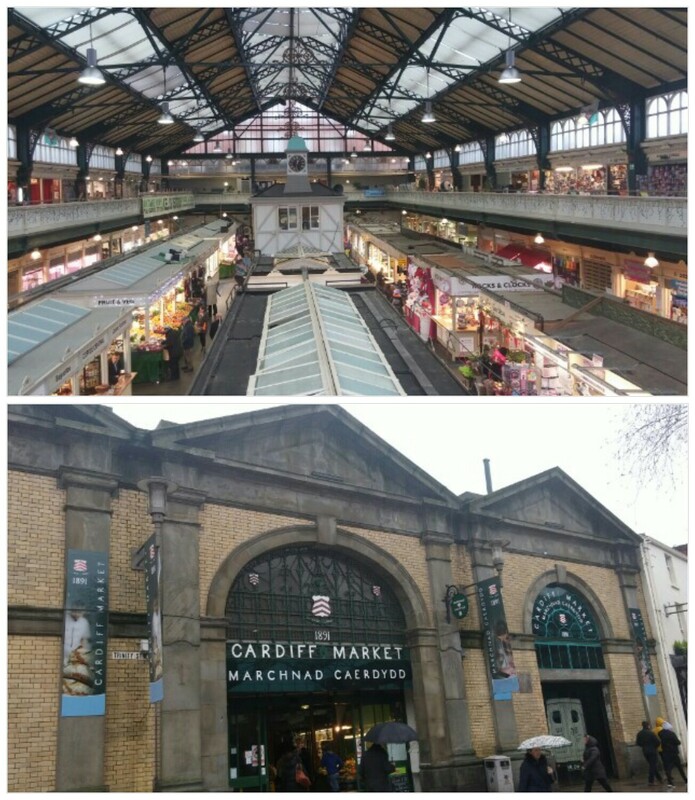 This entry was posted on Jan 15, 2017 by solicitingflavours in Burger, burgers, Cardiff, Cardiff Market, Fast food, Gluten free, lunch, lunchtime, Market, Milgi, Milgi Market, New restaurant Cardiff, Restaurant Review, retail, review, salad, Street food, Take away, Takeaway, Uncategorized, vegan, vegetarian food.